Penelope Cruz attended the ‘Dolor Y Gloria’ Madrid premiere on Wednesday (March 13). 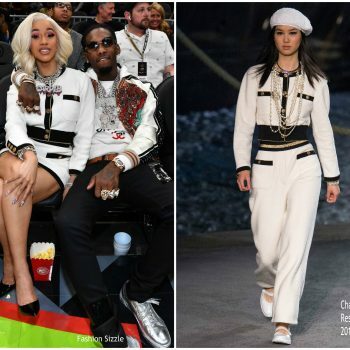 She wore a white Chanel Fall 2018 Haute Couture. 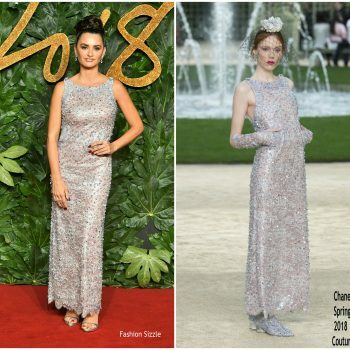 gown' She styled her look with Atelier Swarovski By Penelope Cruz jewelry..
Rachel Weisz attended the Nespresso British Academy Film Awards(BAFTA) nominees party at Kensington Palace in London . 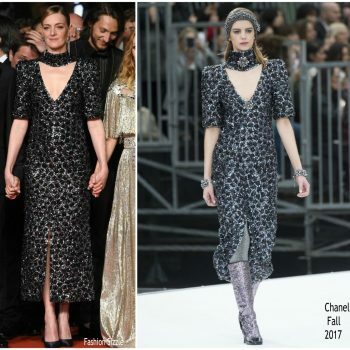 She wore a Chanel Fall 2017 design. 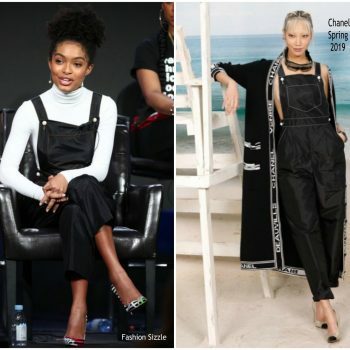 Yara Shahidi attended the 2019 Winter TCA Tour on Tuesday (February 5) in Pasadena, California. 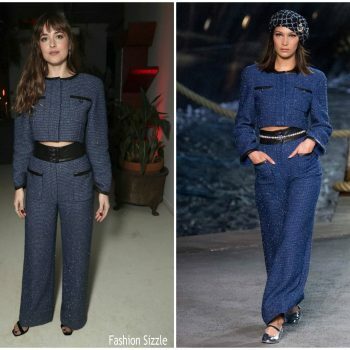 She wore a Chanel Spring 2019 jumpsuit styled with a pair of Christian Louboutin ‘So Kate’ pumps. Penelope Cruz attended the 2019 Goya Cinema Awards on Saturday (February 2) in Seville, Spain. 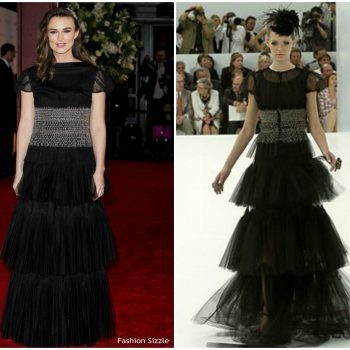 She wore a wore a Chanel Spring 2017 Haute Couture styled with Atelier Swarovski Fine Jewels. Margot Robbie attended the 2019 SAG Awards on Sunday (January 27) in LA. 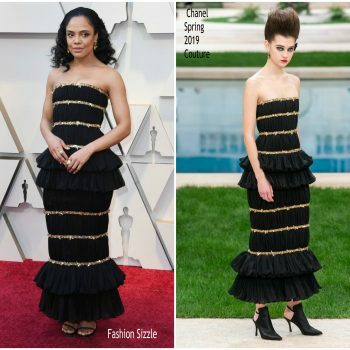 She wore a Chanel Pre-Fall 2019 gown styled with Chanel Fine Jewelry . Penelope Cruz attended the 2019 Dias de Cine Awards on Tuesday (January 15) at Cineteca in Madrid, Spain. She wore a red Chanel jacket styled with black leather pants . 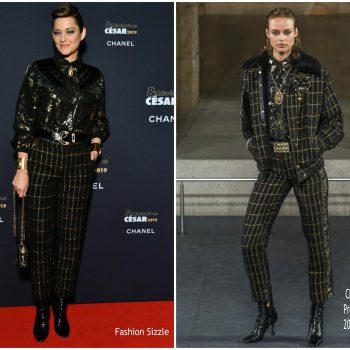 Marion Cotillard attended the Cesar Revelation 2019 event held at Le Petit Palais in Paris on Monday (January 14). 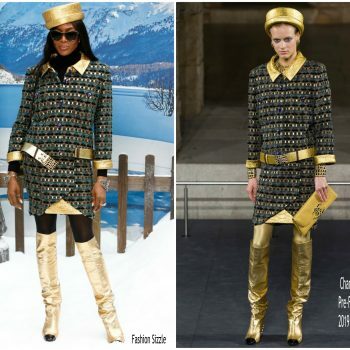 She wore a Chanel Pre-Fall 2019 design. Penelope Cruz was in attendance at The Fashion Awards 2018 in London on Monday (December 10). 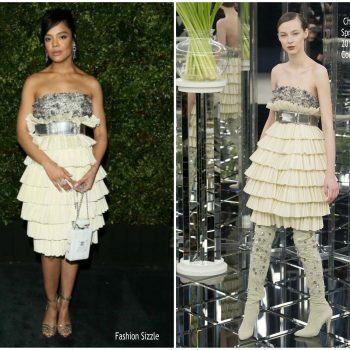 She wore a Chanel Spring 2018 Haute Couture dress. Margot Robbie attended the SAG-AFTRA Foundation Conversations: ‘Mary Queen Of Scots’ on (December 3) in New York City. 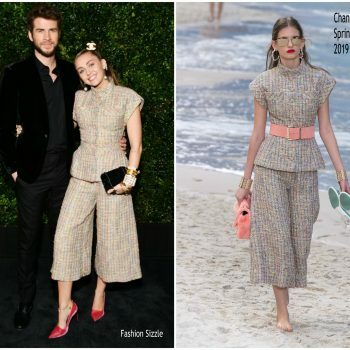 She os wearing s Chanel Spring 2019 styled with a pair of black Alumnae heels. Ellie Bamber was in attendance at the 2018 Governors Awards held on Sunday night (November 18) at the Ray Dolby Ballroom at Hollywood & Highland Center in Hollywood. 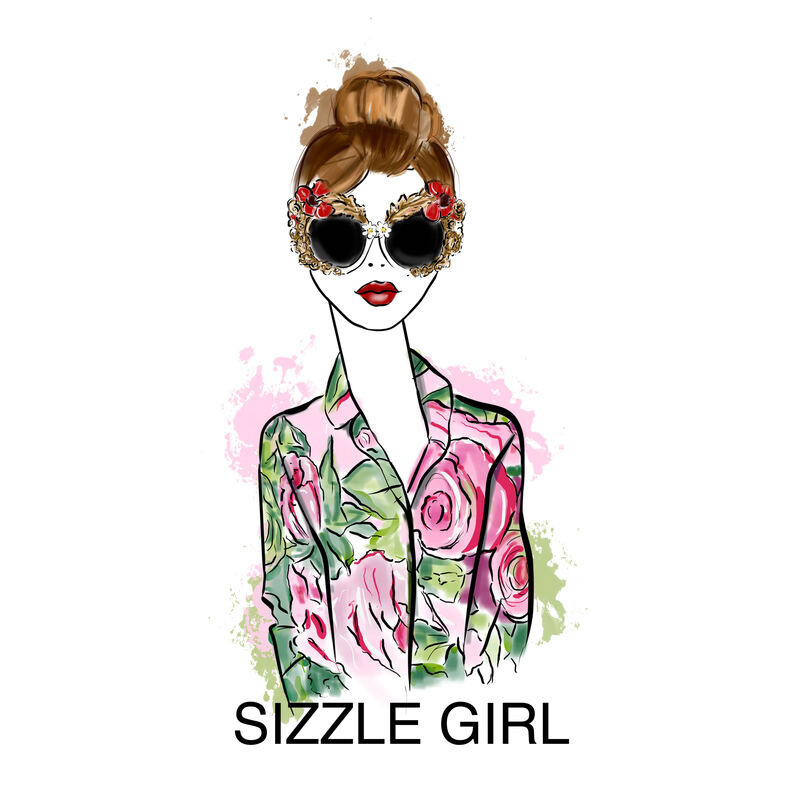 She wore a Chanel design. 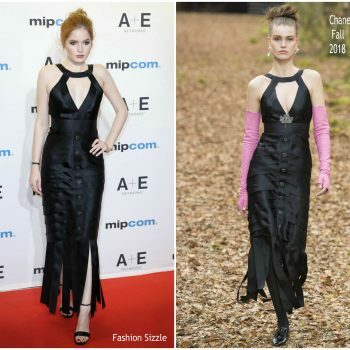 Ellie Bamber was in attendance at the MIPCOM 2018 Opening Ceremony on Monday (October 15) in Cannes, France. 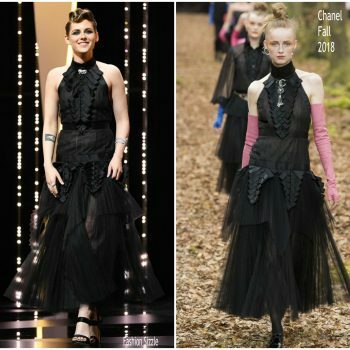 She wore a black wearing a Chanel Fall 2018 dress styled with Chanel accessories. 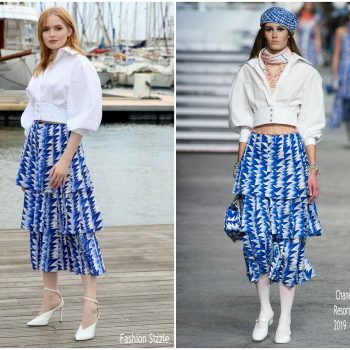 Ellie Bamber was in attendance at the ‘Les Miserables’ photocall as part of the MIPCOM 2018 today (October 15) in Cannes, France. 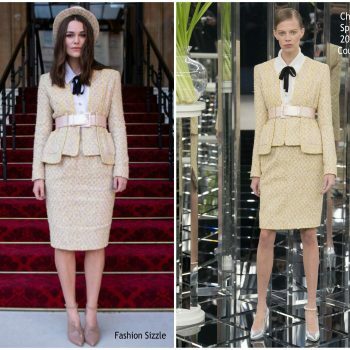 She wore a Chanel Resort 2019 styled with Jimmy Choo ‘Sonia’ white pumps. Lily-Rose Depp attended the New York Film Festival premiere of ‘A Faithful Man’ on Sunday (October 7). 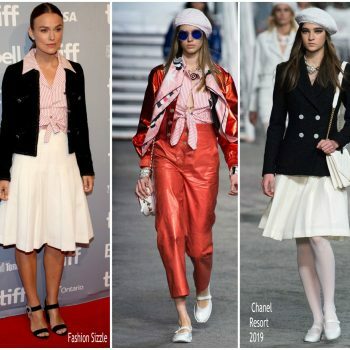 She wore a Chanel Resort 2019 design. Dua Lipa sang at an intimate show at the Grammy Museum in Los Angeles that also featured a panel discussion. 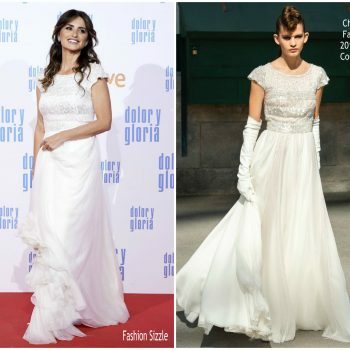 Penelope Cruz was in atenddance at the Vanity Fair Personality Of The Year Gala in Madrid on Wednesday (September 26). 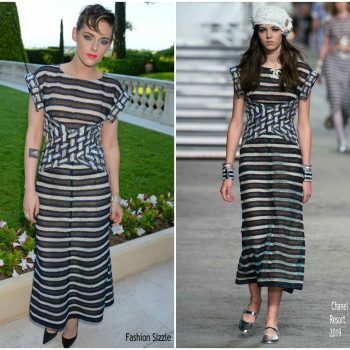 She wore a Chanel Spring 2018 dress . 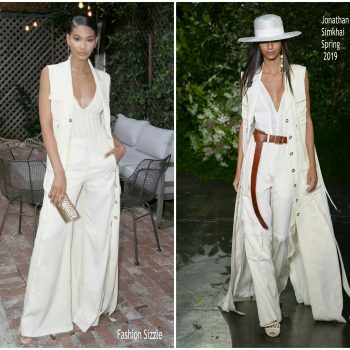 Yara Shahidi was in attendance at the ‘Smallfoot’ LA premiere on Saturday (September 22) in Westwood, California. 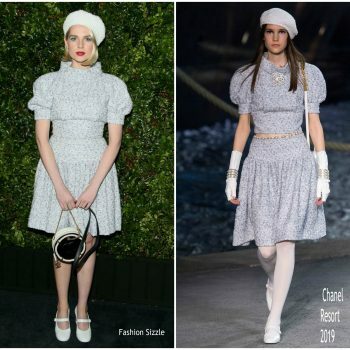 She wore a Chanel Resort 2019 dress. 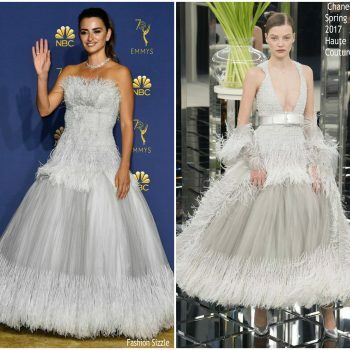 Penélope Cruz wore a customized Chanel Spring 2017 Haute Couture grey gown embroidered with iridescent beads + feathers to the 2018 Emmy Awards. 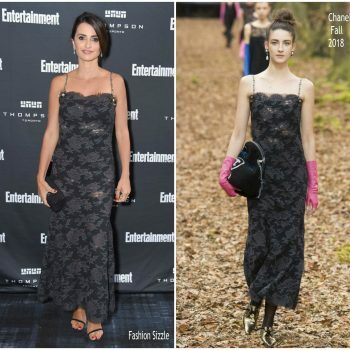 Penélope Cruz wore a Chanel Fall 2018 lace dress to the Entertainment Weekly's Must List Party at the 2018 Toronto International Film Festival. Kristen Stewart attended the 2018 Toronto International Film Festival premiere of her upcoming film Jeremiah Terminator LeRoy on Saturday night (September 15) at Roy Thomson Hall in Toronto, Canada. 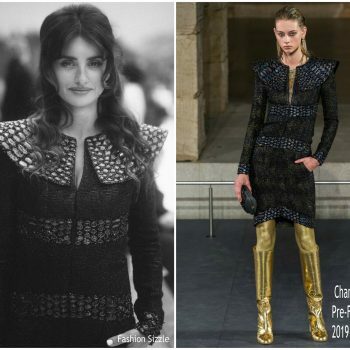 She wore a Chanel Fall 2017 sequined dress. 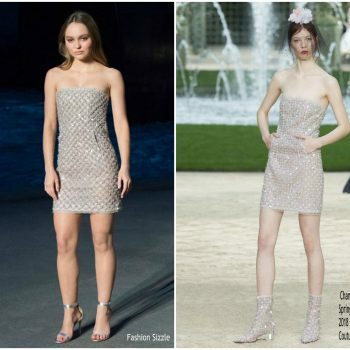 Lily-Rose Depp wore a Chanel Resort 2019 pink tweed dress to the A Faithful Man premiere at the 2018 Toronto International Film Festival. 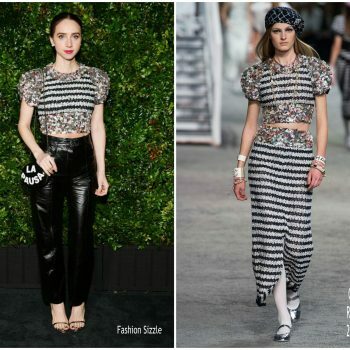 Keira Knightley wore a Chanel Resort 2019 outfit to the Colette press conference at the 2018 Toronto International Film Festival. 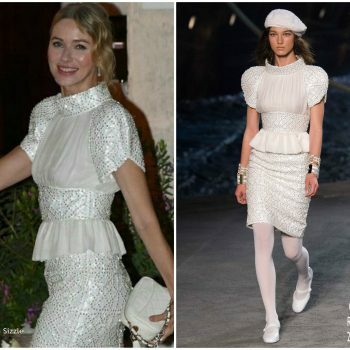 Naomi Watts was spotted during Venice Film Festival on Wednesday (September 5), She wore a white Chanel Resort 2019 design styled with Crivelli jewelry, and a pair of Crivelli diamond earrings. Chloè Sevigny attended the 2018 Venice Film Festival for the premiere of ‘At Eternity’s Gate’ this evening (September 3) in Italy. 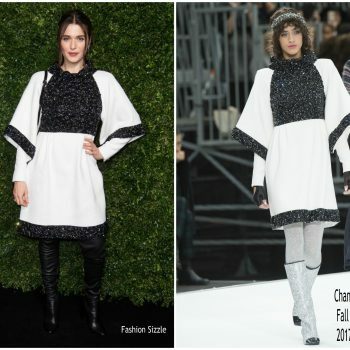 She wore a Chanel’s Pre-Fall 2018 dress. 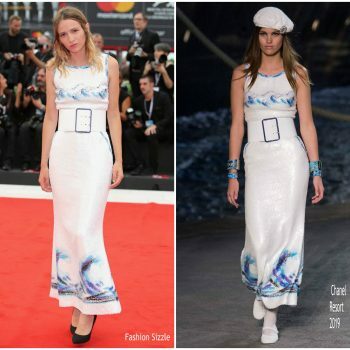 Christa Theret wore a Chanel Resort 2019 sequined dress to the Doubles Vies (Non Fiction) premiere during the 2018 Venice Film Festival. 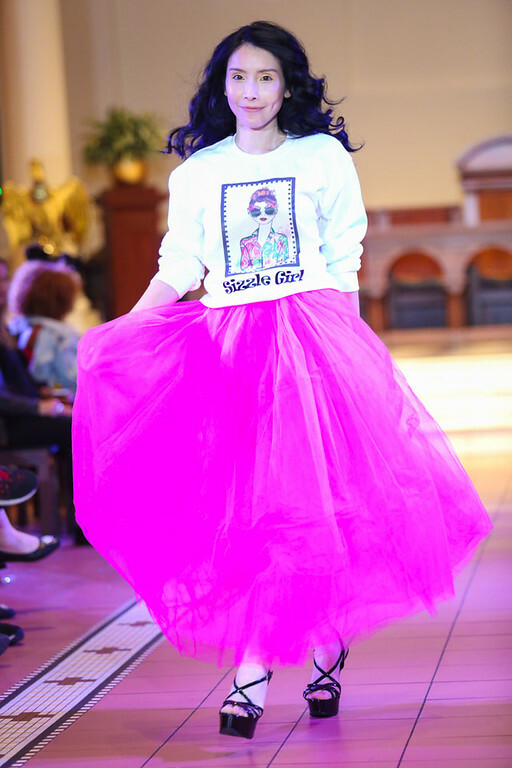 She also wore trousers from the collection for the photocall. Ryan Gosling and Claire Foy were in attendance at ‘First Man’ photocall during the 2018 Venice Film Festival at Sala Casino today (August 29) in Italy. 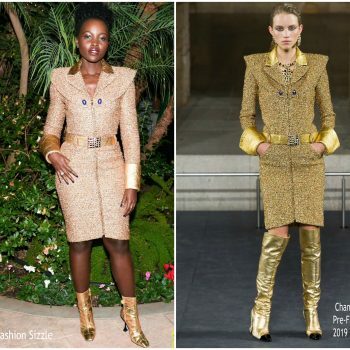 She wore a Chanel Resort 2019 design. 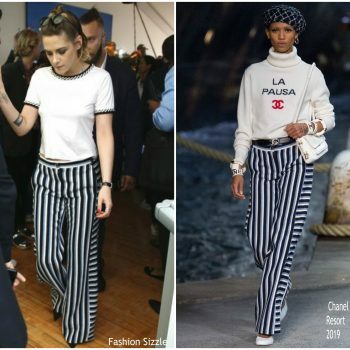 Kristen Stewart wore a Chanel Pre-Spring 2018 top and Resort 2019 striped trousers to the Gender Equality Pledge event during the 2018 Cannes Film Festival. 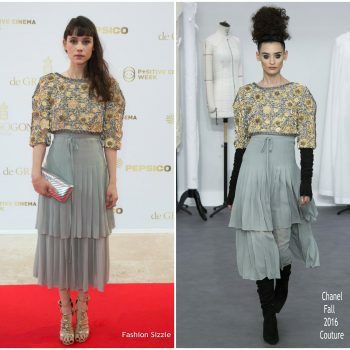 Àstrid Bergès-Frisbey wore a Chanel Fall 2016 Haute Couture embroidered dress to the Positive Planet Gala Dinner during the 2018 Cannes Film Festival. 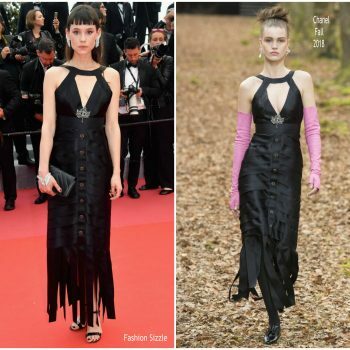 Kate Moran attended the premiere og ‘Knife + Heart (Un Couteau Dans Le Coeur)’ during Cannes Film Festival on (May 17) She wore a Chanel Fall 2017 dress. 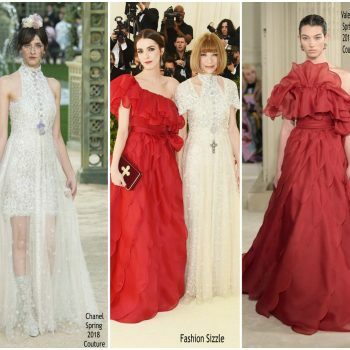 Milla Jovovich wore a Chanel Resort 2018 pink single-shoulder gown to the amfAR Cannes Gala held at Hotel du Cap-Eden-Roc in Cap d’Antibes, Franceon Thursday (May 17). 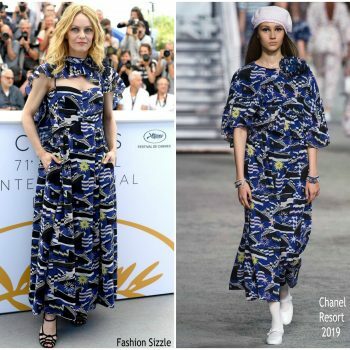 Vanessa Paradis attended the photocall of her latest film, ‘Knife + Heart (Un Couteau Dans Le Coeur)’ during Cannes Film Festival. 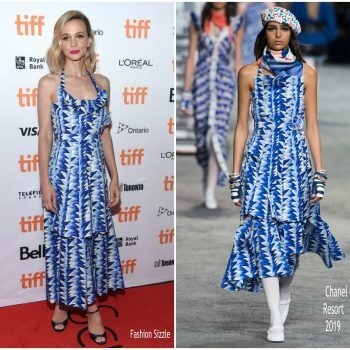 She wore a blue Chanel Resort 2019 printed dress . Àstrid Bergès-Frisbey attended the the Cannes Film Festival premiere of ‘Solo: A Star Wars Story’ this evening (May 15). 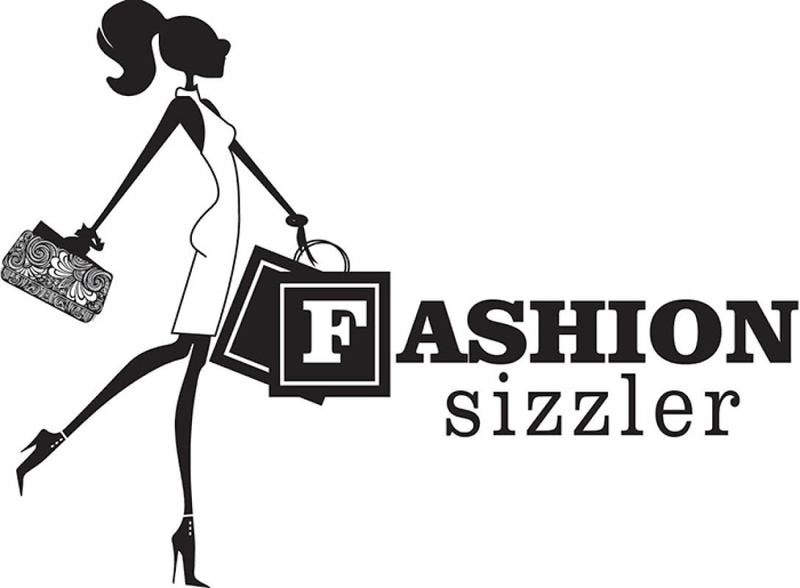 She wore a black Fall 2018 black dress and heels. Deniz Gamze Erguven was in in attendance at the premiere of ‘Blackkklansman’ during Cannes Film Festival this evening (May 14). 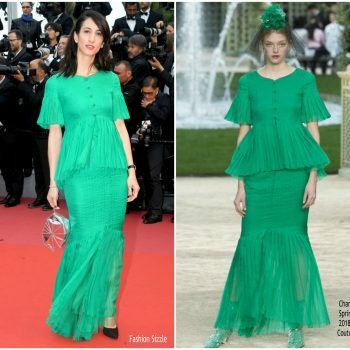 She wore a green Chanel Spring 2018 Haute Couture dress. 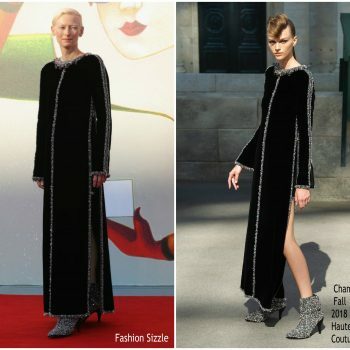 Clémence Poesy attended the premiere of ‘Blackkklansman’ at the 2018 Cannes Film Festival on Monday evening (May 14). 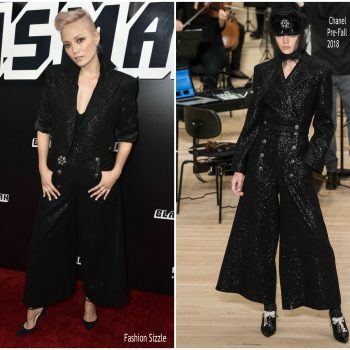 She wore a black Fall 2018 black jumpsuit and accessories. 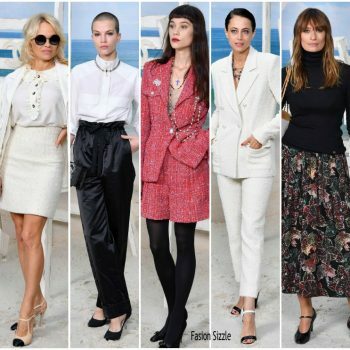 Anna Mouglalis attended the the premiere of ‘Girls Of The Sun (Les Filles Du Soleil)’ during Cannes Film Festival this evening (May 12). 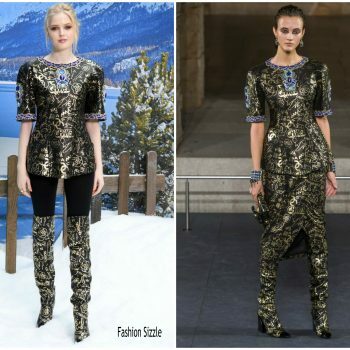 She wore a Chanel Fall 2017 Couture embroidered dress. Ella Purnell attended The Virgin TV BAFTA Television Awards on Sunday (May 13) in London, England. 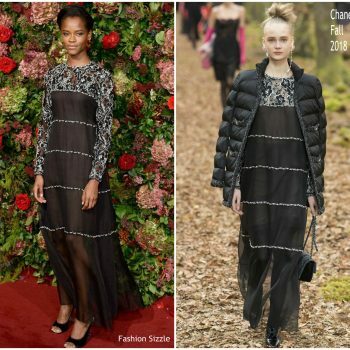 She wore a Chanel Pre-Spring 2018 gown. 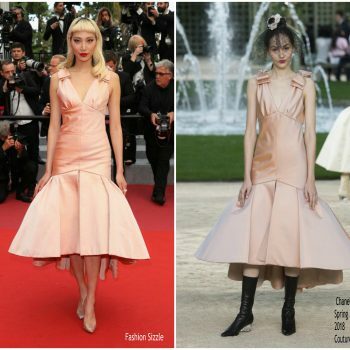 Soo Joo Park attended the the Sink Or Swim (Le Grand Bain) premiere during the 2018 Cannes She wore a Chanel Spring 2018 Couture evening dress. Chloe Sevigny attended the ‘Cold War (Zimna Wojna)’ Cannes Film Festival premiere on Thursday (May 10) in France. 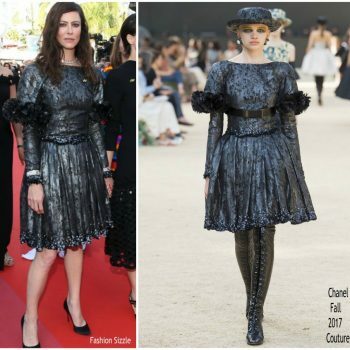 She wore a black Chanel Fall 2017 Couture dress. 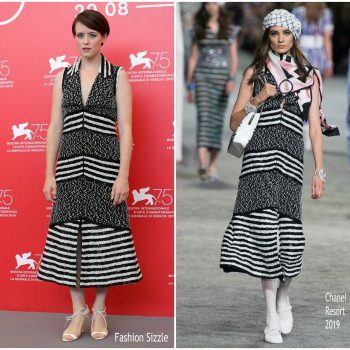 Irina Starshenbaum attended the ‘Leto’ Cannes Film Festival photocall on Thursday (May 10) in France. 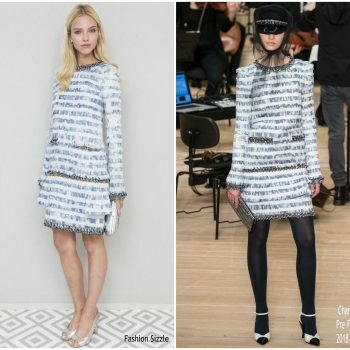 She wore a Chanel Spring 2018 muslin tweed blue dress. Julianne Moore attended the Chopard Gentleman’s Evening on Wednesday (May 9), during the Cannes Film Festival. 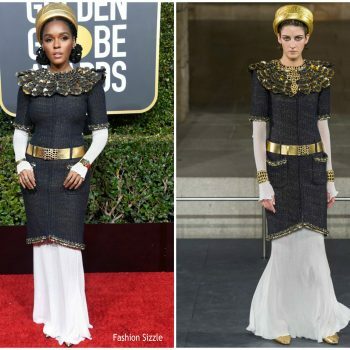 She is wearing a Chanel dress styled withnChopard jewels. 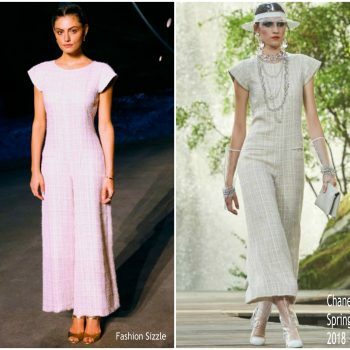 Margot Robbie was in attendance at the premiere of her new movie Terminal on Tuesday night (May 8) at ArcLight Cinemas in Hollywood She wore a Chanel Fall 2018 design . 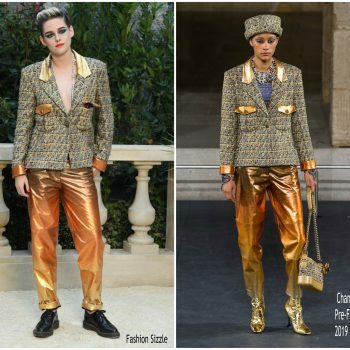 Kristen Stewart along with Cate Blanchett were in attendance for Cannes Film Festival jury photocall today on (May 8) She wore a blue Chanel Resort 2019 tweed suit styled with Aquazzura "Casablanca" white sandals. 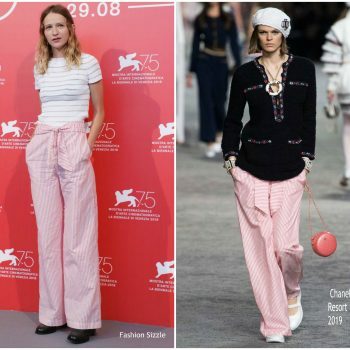 Clémence Poésy was in attendance along with Margot Robbie at the Chanel Resort 2019 presentation at the Grand Palais in Paris, France on Wednesday (May 3). 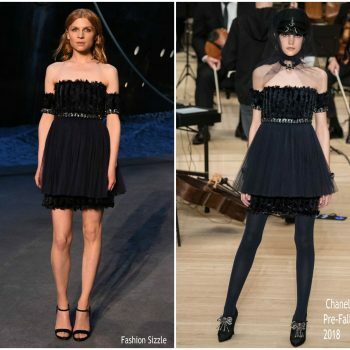 She wore a black Chanel Pre-Fall 2018 off-the-shoulder embroidered dress ​.